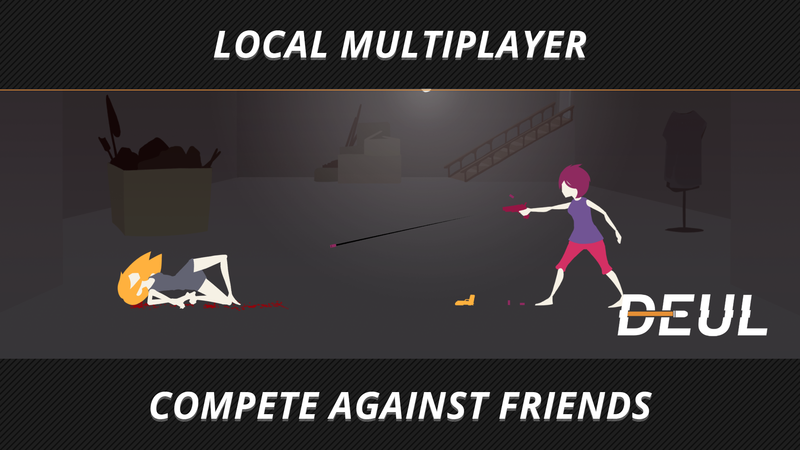 DEUL is a simple little game about duels (made with a help of Unity game engine). Rules are simple: kill first or be killed. Test and improve your reaction. Beat your own hi-score. Gain fame points to buy different bullet types. Gain XP points and level up to improve your skills. Bullets are real and collide, slow motion happens sometimes, blood drops, ragdoll physics included as well. Hello! Today we launched DEUL, tomorrow we will start our marketing campaigns! 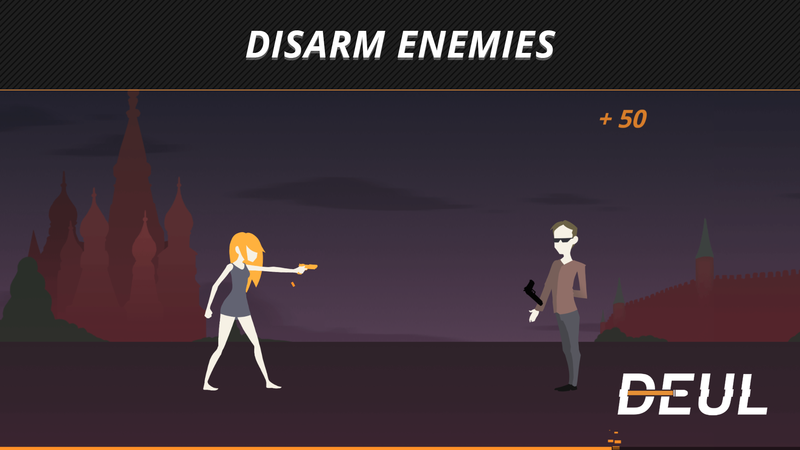 DEUL brings the fun of fast and reaction based gun slinging to your mobile! 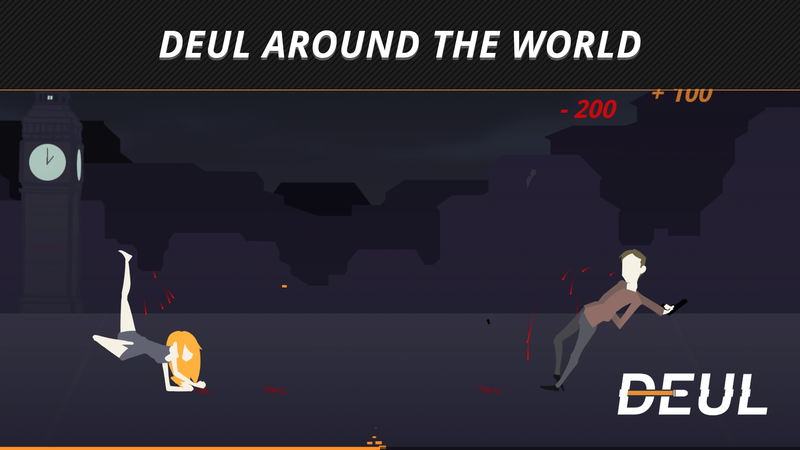 DEUL around the world including locations such as London, Moscow, China & Brazil. React faster than your enemy to win the round, shower your enemy in bullets to earn more points. Need a harder challenge? The further you progress the more enemies unlock, each with their own personalities. 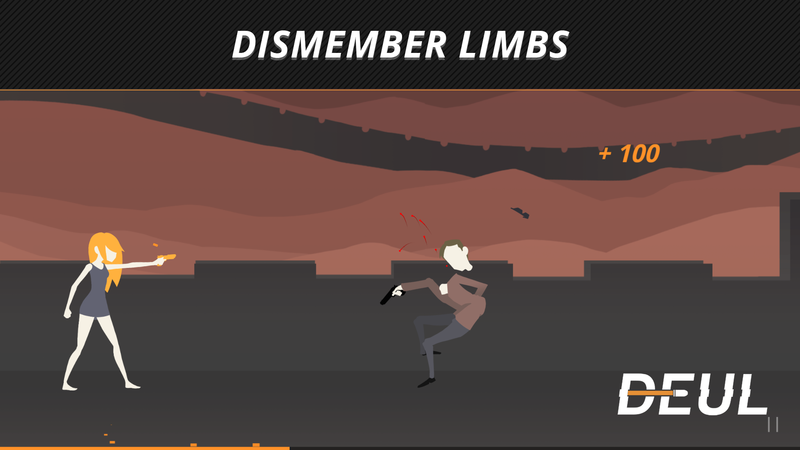 The higher your score the harder enemies become, raising their weapons and firing at you faster each time. Can you handle the pressure of the DEUL? Whilst DEUL is free, we do not force you to purchase in app items or watch adverts, that's completely up to you. You can continue to enjoy the game for free without doing either, but if you do please remember it supports us! Starting January 2016 every month the player with the highest score will receive an in game award and a physical copy of signed limited edition artwork right to their door. All you need to do is play with an account! All data is saved to the cloud, including statistics, purchases and items for your character. Switch between devices (Android or iOS) freely in real-time.